Now a days, due to increase in camera image quality, size of image also increases which a large space on your laptops or computer. So as to save space , you can compress images with image optimizer without any quality loss and dimensions. 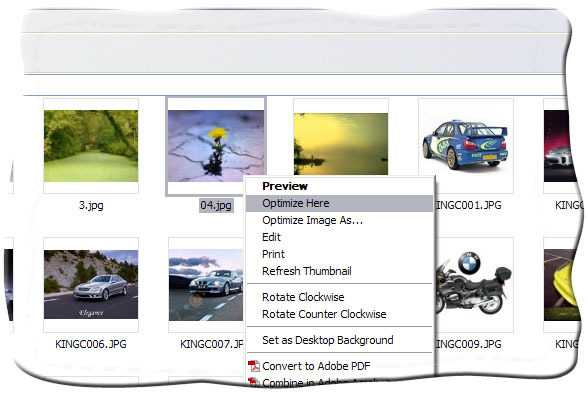 Image Optimizer is a small size ( 1.22 MB) software. 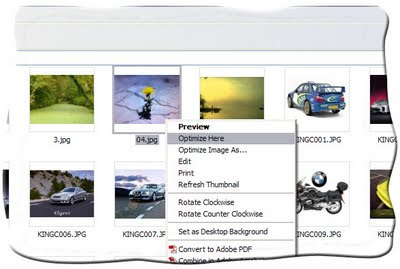 After Installation When ever you right click any image or a folder containing images, an option Optimize This will appear.After clicking it a new folder is created on the same location with optimized images. 9MB image optimizes to 60 KB retaining Dimensions and Quality Intact. Although its free, but on some large size image it will place a water mark on the image. You have to buy its pro version to remove water mark .